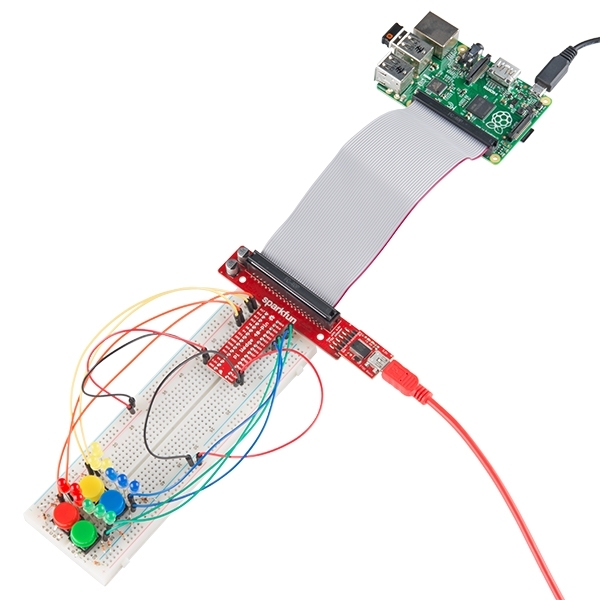 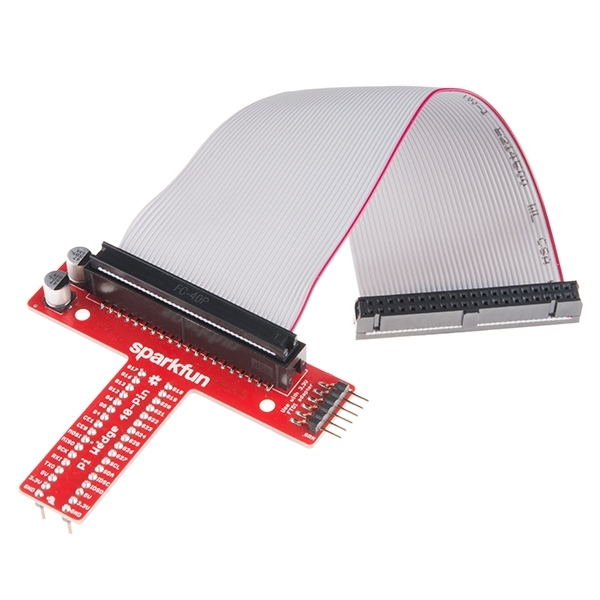 The Pi Wedge is compatible with the Raspberry Pi A+, B+, or RPi2 models and it adapts the GPIO header on the RPi to a standard solderless breadboard, such as our medium, large breadboards. 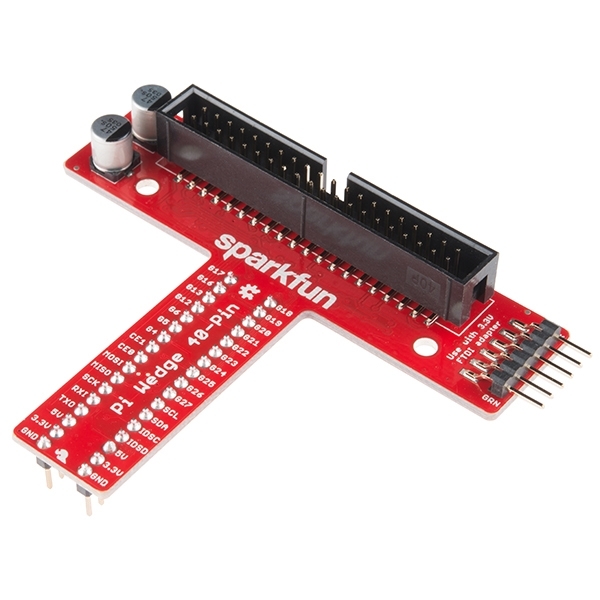 While it will technically with with a mini breadboard, it won’t leave much room for external circuitry. 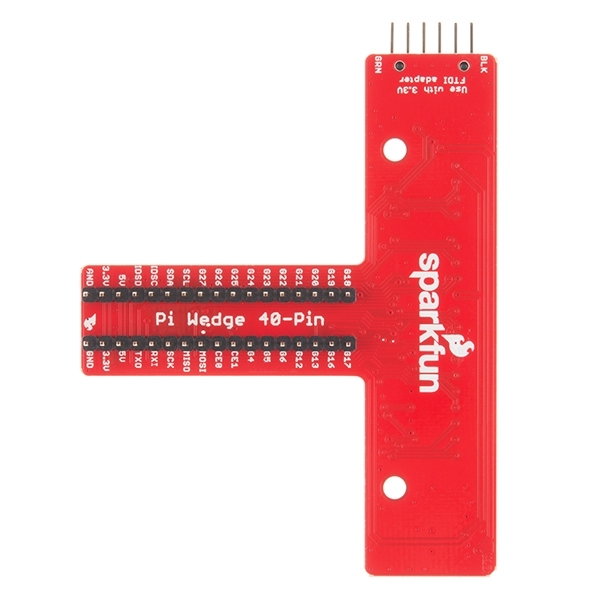 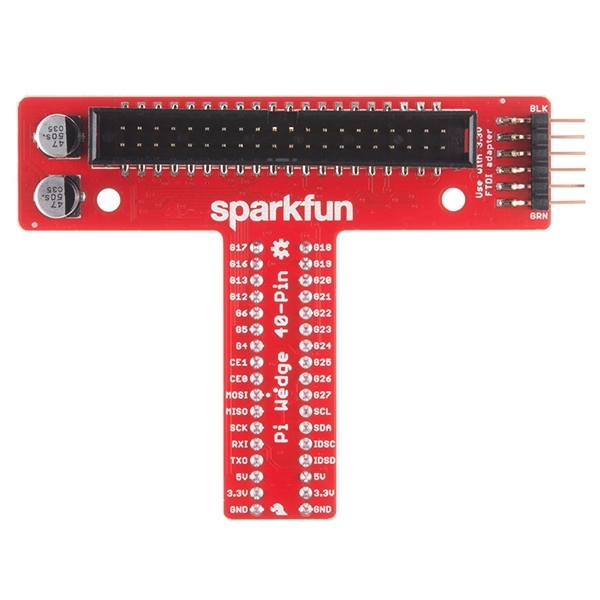 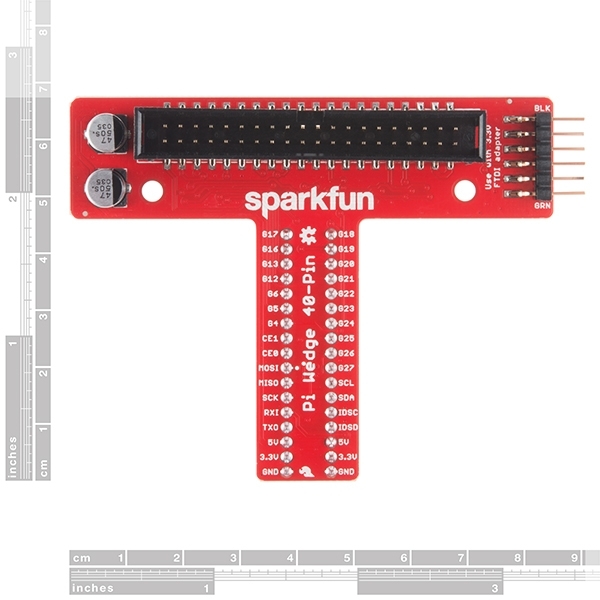 If you love the Raspberry Pi and have been looking to start prototyping with it look no further than the SparkFun Pi Wedge!